Have you ever wanted so badly to tell somebody something about themselves that it almost hurt? Even though you think to yourself that "it's for their own good," you probably hesitate because you've tried to be "helpful" before and it backfired. The person you sincerely tried to help didn't appreciate your efforts and responded negatively to you. So now you think you should just keep your mouth shut. From Dr. Schofield I learned a valuable secret to influencing that I'll share with you. The secret is this: you get the person's PERMISSION before you suggest, teach, preach or try to be helpful. It takes practice because most of us just want to tell, tell, tell. Before you begin, you actively LISTEN and then ASK QUESTIONS. As an example, a friend might be telling you about a health problem that you feel you have a solution for. After hearing what he/she has to say, ask something like, "What are your concerns about this?" Listen, then ask, "Is what you're doing working for you?" If the answer is "no," then you can ask, "Would you be interested in hearing about another possible solution?" Or you can initiate a conversation by saying, "Would you be interested in hearing something I've observed about you?" If the answer is "no" then drop it. If yes, which it usually is because people are generally curious, then you can go on to tell them what you have observed. If you have a suggestion to make, ask if he/she is interested in hearing about a solution you have. Whatever a person decides to do or not to do about what you offer or suggest is totally up to them and it's okay whatever choice that is. So there you have it...one of the greatest secrets to influencing another person is by showing great honor and respect. We welcome and appreciate your comments, but most of all, we hope these ideas are useful to you! If you wish to make a personal comment but don't want to log into this site, you can email me at AlwaysAnAlly@yahoo.com. NOTE: These posts are the property of Muriel Donaldson and are copywrited. Helping Others Feel GOOD Every Day! I've been a mom for 40 years, a grand mom for 15. How can that be when I feel only 19??? I LOVE to share and be helpful to people, and of course, I love to write too--the reasons I've created this BLOG. I hope we can inspire folks and encourage them to take better care of themselves and create a wonderful vision for their futures. 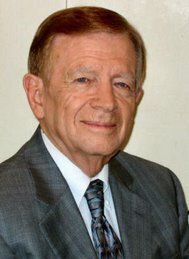 My business partner, Dr. Robert S. was a psychiatrist for over 50 years. He passed away December 2, 2007. His influence is still strongly felt in my business. In fact, I've written our book, Always An Ally. When you begin reading it, you won't want to put it down, I guarantee it!